At the end of last month, we reported that Chris Hemsworth was in talks to star in F. Gary Gray’s new Men In Black movie—which, as we’ve noted many times, is a Jurassic World-style revival that expands the universe without using the same characters—and now we know at least one person who will be joining Hemsworth as he trades his ancient hammer for a Noisy Cricket. 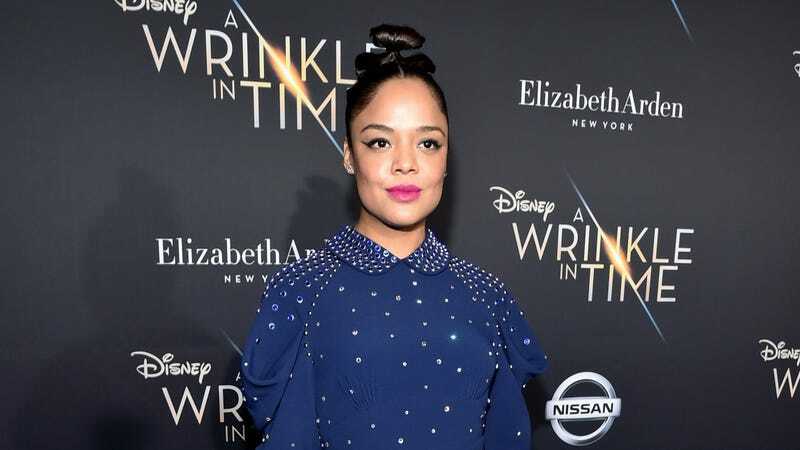 As it turns out, the new Men In Black will actually be a Thor: Ragnarok reunion, with Tessa Thompson appearing as one of the new leads. The Hollywood Reporter says that the movie will be “more of an ensemble piece than a two-hander,” which is the way people in the movie biz say that it will be about more than just Hemsworth and Thompson’s characters (unlike the original movies, which focused just on Will Smith and Tommy Lee Jones). It will also be “more global in scope,” checking in on how the world outside of New York City feels about space aliens.